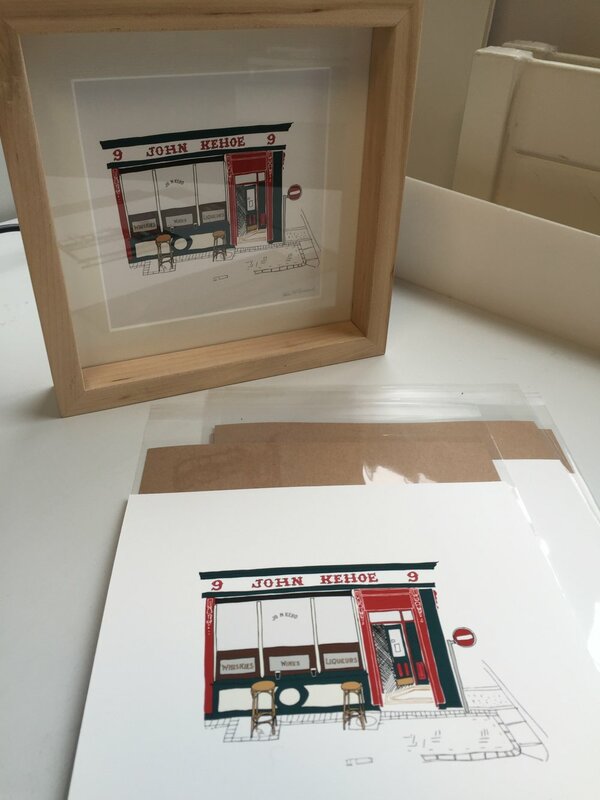 Helen’s illustrations explore the often overlooked facades and vernacular typography that make up the streets of Dublin. A request to create a unique wedding gift led her to begin making special drawings of familiar locations. 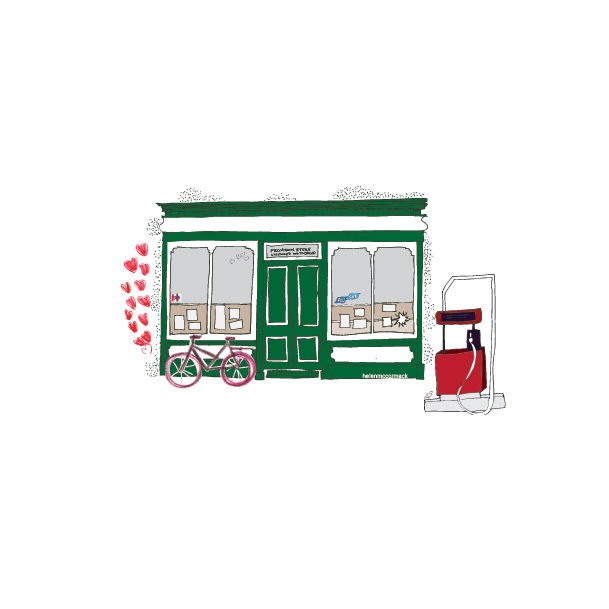 Especially for the Fumbally Exchange 'Frost' Christmas shop 2017, Helen has created a special collection of prints. The illustrations were printed by The Copper House fine art printers, using archival pigment ink. The prints are sized to fit 'Rocker Lane Studio' square frames, made from reclaimed dance floors.